Today’s twitter Hashtag event was a deeply moving, and much needed conversation, among Muslims Americans. #Muslims4Ferguson organized the event with Omar Suleiman, Suhaib Webb, and Linda Sarsour. I would like to send a special shout out to Dawud Walid who gave us a heads up on the convo. Please consider standing with Muslims4Ferguson. I have started writing and erased the beginning of this message several times. I, like many of you, are frustrated, outraged, and saddened by the deaths of Mike Brown, Ezell Ford, John Crawford, and Eric Garner at the hands of law enforcement. Vulnerability of Black life and police brutality are deeply personal issues for me, as I explain in an article I recently wrote for Islamic Monthly. 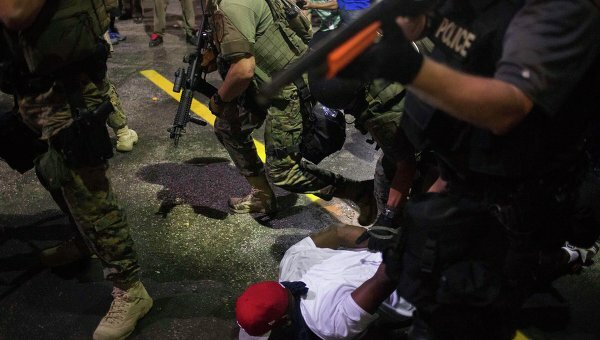 The heavy-handed force used by the police in Ferguson has truly been disturbing. The images of militarized police confronting protestors evoked images from the 1960s Civil Rights Movement. The recent events point to an endemic problem of the criminalization of Black bodies. MuslimARC has closely followed the events, tweeting links and sharing the Press Release written by Dr. Su’ad Abdul Khabeer. On social media there is a flood of images of police brutality recorded on smart phones. As most of you know, police brutality is just one issue in a web of oppression, including school to prison pipeline, mass incarceration, wage inequality, housing discrimination, etc. One third of the American Muslim community is African American and we too feel the brunt of structural racism and the daily effects of racial microaggressions. The Messenger of Allah (peace be upon him) said: “The example of Muslims in their mutual love, mercy and sympathy is like that of a body; if one of the organs is afflicted, the whole body responds with sleeplessness and fever.”(Hadith-Muslim). Although these events weigh heavy on our hearts, the discourse in Muslim American communities is shifting and national Muslim organizations are beginning to acknowledge the need to address structural racism in America. CAIR’s statement is an important step in the right direction, as well as public statements by many renowned scholars. 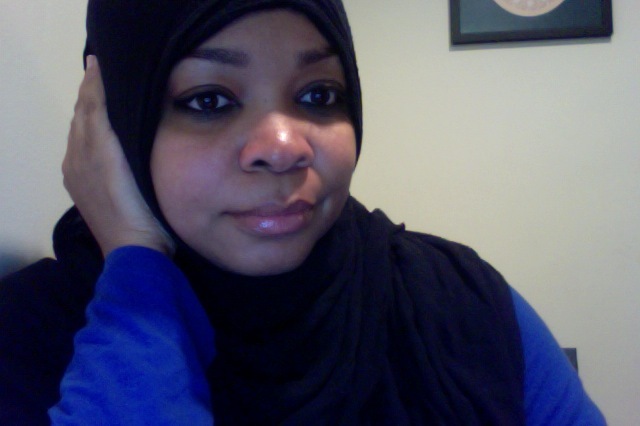 Hena Zuberi published a thought provoking piece on Ferguson, Anti-Black Racism, Muslim Owned Liquor Stores, and Gaza. I believe that our efforts collectively, as a collaborative of Muslims committed to anti-racism has helped shift the discourse. We still have so much work to do. 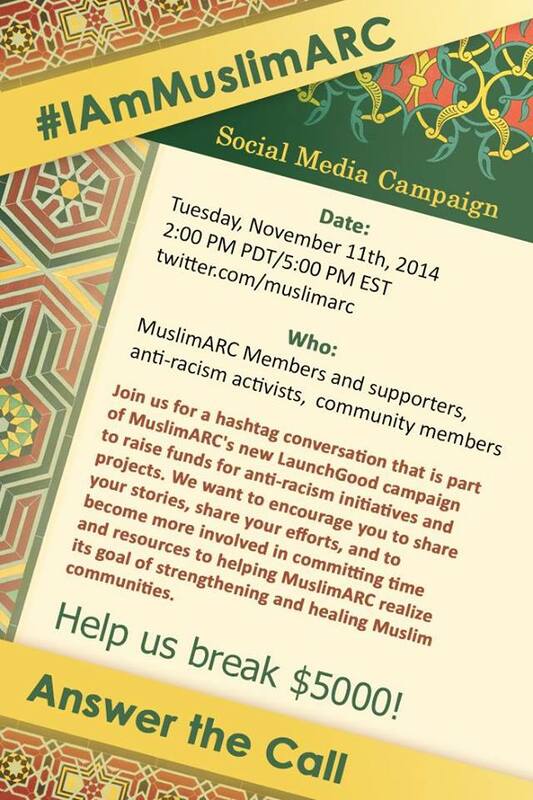 MuslimARC needs your help to move beyond awareness to sustained action in our communities. The Muslim community in North America is in a unique position, due to the intersections of our multi-ethnic community, to build bridges and address racial injustice. SubhanAllah, we have come a long way in the six months since our inception. 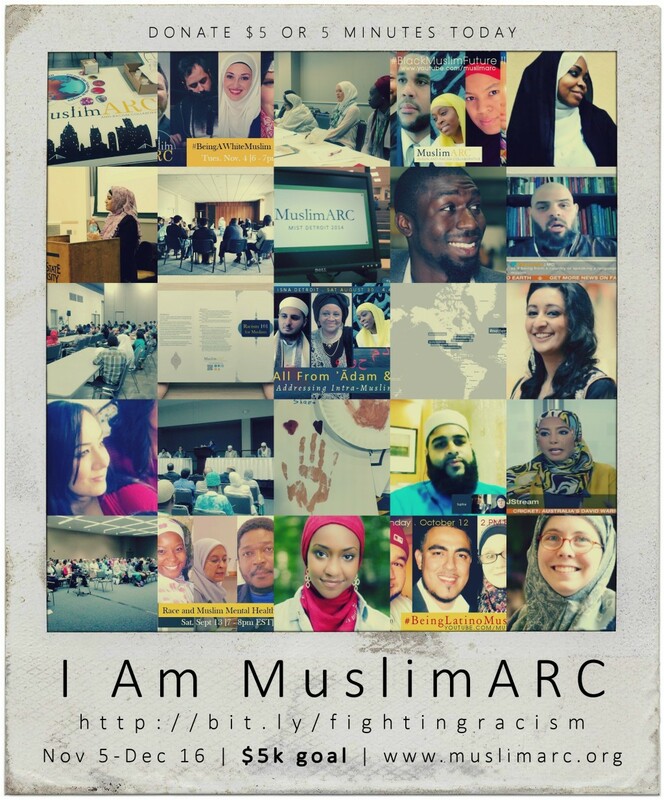 MuslimARC has a strategic plan which entails certifying educators and community leaders with anti-racism training and ranking Muslim institutions in terms of anti-racism policies and practices. We also aim to foster knowledge creation on the state of our community through research and information. We need committed volunteers who understand the urgency of our situation, as Muslims in the West. Even an hour a week on a project can help us develop effective training and programs that can help us dispel the biases that blind us and the tear down the boundaries that divide us. I apologize for my disjointed writing and hope that this message is received well. Please keep us in your prayers and may all of our endeavors be rightly guided. It is going to to take deep support of grass roots organizations and national initiatives to counter racial discrimination and structural racism. The real work isn’t glamorous, it is not going to garner a lot of retweets or publicity. but it is something that will be pleasing to your Lord. We are here today because people have being the hard work consistently, that have faced hardship with patience and constancy, and they haven’t given up. Systematic racism is a many headed hydrah that requires multi pronged solutions. We have so much work to do, improving education, stopping the school to prison pipeline, undocumented worker’s rights, and the rights of refugees. MuslimARC has developed a faith based approach that aims to have a lasting and substantive impact on how our communities address racial justice and inclusive practices. I hope that these conversations inspire each of us to action, rather than the lull us into the complacency. Now is time to move beyond platitudes about justice and begin to do the hard work that is required for addressing the ills of our society. For many Women of Color (WoC), Twitter allows them a platform to engage with thoughts and ideas. It is also a platform for activism, allowing people who would have been marginalized to bring certain issues to the fore, to respond to media coverage, and to engage with people who they might not reach otherwise. Twitter has allowed WoC and other marginalized women opportunities to call out their more privileged sisters. There has even been intense push back against elite White women and feminists because of their exclusion of different voices and perspectives. I believe that people start out with the best intentions. Most people want to believe that they are inherently good. Most people want to believe that they are not exerted power in a way that has oppressed another. And most people who say the most racist stuff will preface it with, “I’m not racist, but…” Part of this has to do with our own biases about ourselves as people. The vast majority of people will do everything they can to protect their interests and maintain whatever advantages they earned or were given to them in life. When confronted with our privileges, most of us are defensive because we all want to believe that we are good, we are worthy, we are deserving, etc. Often people will wield their unequal advantage against those who may call to question their efforts or stances. And with that in mind, it is important for those in a position of authority, influence, or power to be even more reflective about how they deal with others. For awhile, I wondered why so many WoC were railing about White Feminists. Mistakenly, I thought that in the realm of ideas we were all equal. It just mattered who could present their ideas better, who had more articulate positions, and warrants to connect their facts to their argument. But, oh was I wrong. I witnessed power wielded in ways to silence dissenting marginalized women. I saw this happen over the past three days with the online discourse surrounding World Hijab Day (WHD 2014), founded by Nazma Khan. There are many beautiful and thoughtful accounts from non-Muslim participants. My post is not about WHD 2014. There are pros and cons to the event, and the jury was still out for me. I largely agreed that Muslim women’s experiences can’t be reduced to wearing a scarf on their head. At the same time, I do applaud their efforts at mobilizing support from non-Muslim women. I feel that others have been done better unpacking some of the problematic aspects of the campaign such as Yassmin Abdel-Magied, Ms. Muslamic, and NoorulannShahid But what is important is that we, as Muslim women, should have a discussion and exploring what it means to be a Muslim woman. We should also think about solidarity and how to build bridges without becoming reductionist. Today, I jumped into a debate the broadcaster and theologian, Vicky Beeching, a non-Muslim participant of World Hijab Day 2014. What I found most troubling with her discussion was that she was completely oblivious to how she wielded her power and privilege to silence dissent about her participation. And she did this all the while claiming empathy for Muslim women and even going so far as to speak for us. In several discussions, she said that dissenters made libelous statements. She even told me that based on my curating the tweets on Storify was , that she would seek legal counsel. There was an uproar on Twitter and some of Vicky’s Muslim friends pointed out that our discussion was not benefitting anyone. …but sometimes it is. There was a time when I was all about forging those bonds and finding a community of like-minded individuals online. When I was in my darkest times, I found support in a small community of bloggers. I even became acquainted with my spouse and learned of our mutual interests through our writings. For someone who has gained so much from my blog, why the trepidation of forging new friendships through it now? Life is a bit overwhelming for me to spend hours in chat or getting to know someone behind a screen name. I don’t sit behind a computer screen in an office job. Nor do I have hours of downtime like I did in Kuwait. But even more so, I have learned from past social missteps and heartaches that arose out of connecting to strangers through social media. Over time I retreated into a more personal world even as some people have reached out to me for support or friendship. I guess I’m writing this because I feel guilty, however I have a greater need for privacy and real flesh and blood friendships. I am still “friends” with countless people who I have no personal contact with. I often wonder why am I still connected and how to create greater degrees of separation in this monster called social media. I’m still sorting out the blurred lines between my public blogging, social media, and my personal life. 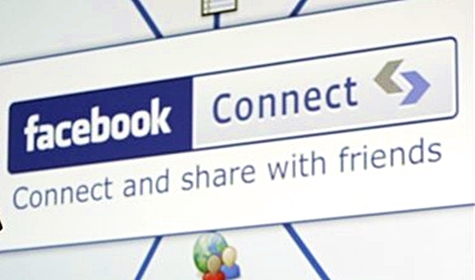 We have just begun to understand the consequences and ramifications of social media. In some ways it makes people feel more isolated, even as they doing more and more to share their lives in the public. For the most part, social media does not forge what Malcolm Gladwell calls strong-ties, unless they already existed prior to social media. For example, my sister lives in Southern California and the rest of my immediate family members live in Northern California. I can see instant uploads of major milestones, such as graduations and baby pictures. While I have reconnected with long lost friends, it still isn’t like how it used to be. I rarely talk on the phone with friends from high school or college, we never get together, we don’t even send email or text. For most of us, we’d have a lot of catching up to do and getting to re-know each other before I could share the most intimate details of my life or feel part of their lives. Occasionally, I will get a request from someone I never met, but they are a friend of a friend on facebook or they follow my blog. Ignoring a request isn’t a personal thing, but in a way it is. But not in the sense that I don’t like you or you’re a bad person, or you’re unimportant. I just don’t know you, even though some of you may think you know me. You only know some of my thoughts, personal reflections, and tendency towards typos and bad grammar. Maybe you get my humor or maybe you don’t. Perhaps we have shared interests or similar views, but we don’t have a personal connection. Most of us haven’t had an extended exchange for me to feel much of resonance. I just don’t want you to think I’m giving you the cold shoulder. It’s nothing personal, but following my blog isn’t enough for me to allow someone access to more details about my life, so that I can be known without a person truly knowing me. We have to have some type of professional, personal, or or academic relationship before I add you my facebook friends or give you my personal contact.